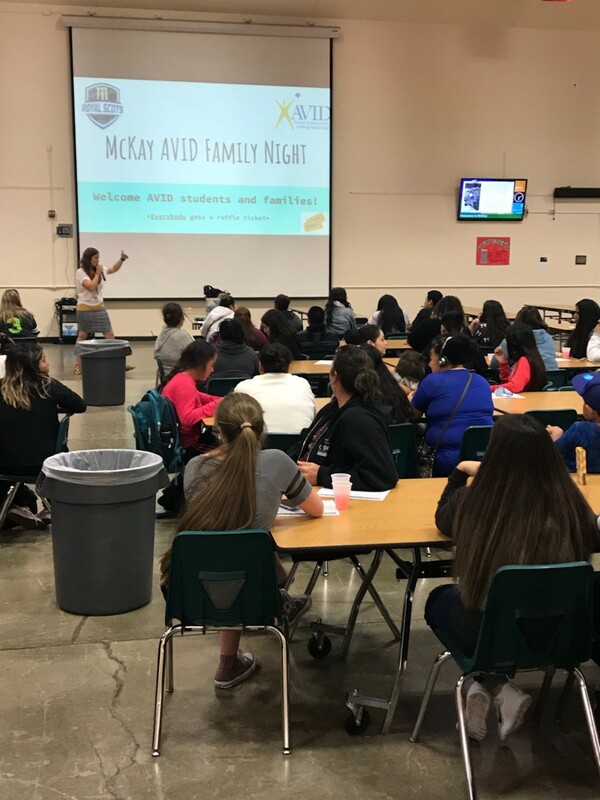 We would like to thank the many families who attended our AVID Family Night. 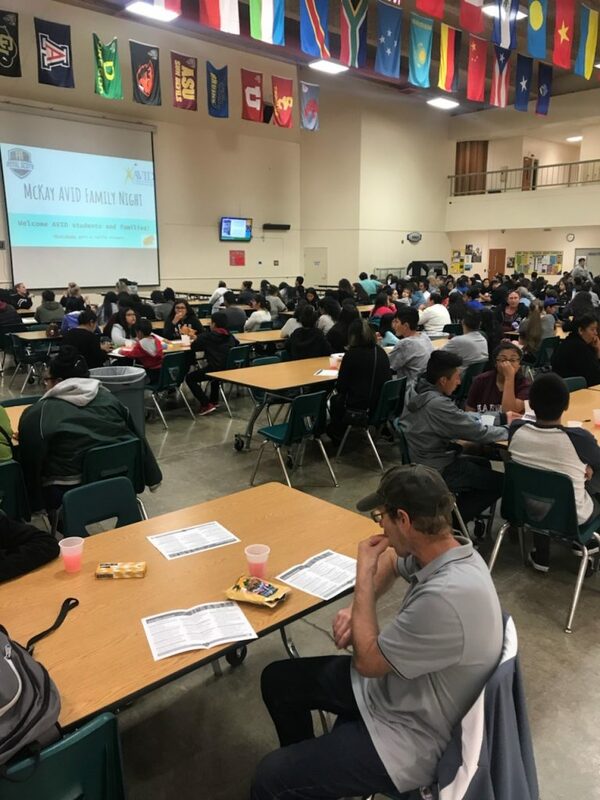 Mrs. Larkin Foley, our AVID Site Coordinator, provided our families and students key information on college readiness, events and timelines. This information is critical to our work for students. 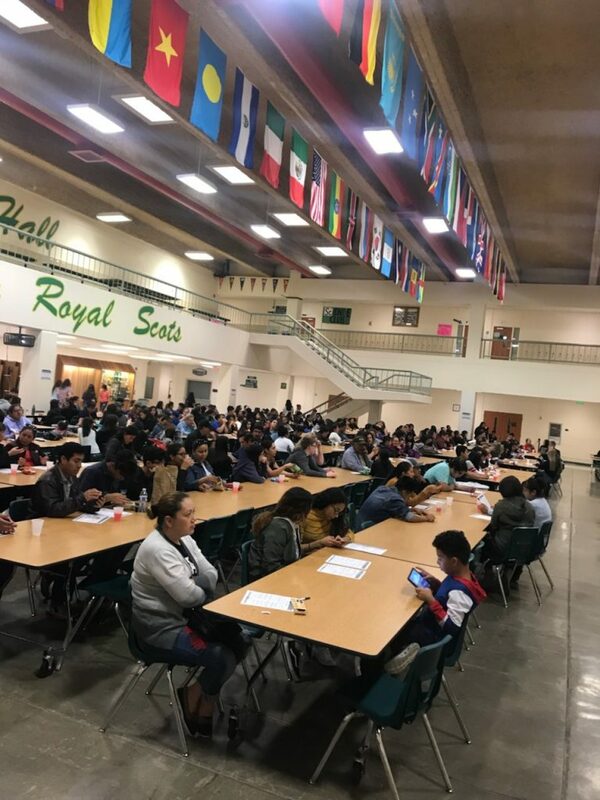 As a McKay community, we would like to recognize our families for actively supporting our students’ ability to graduate college and career ready!